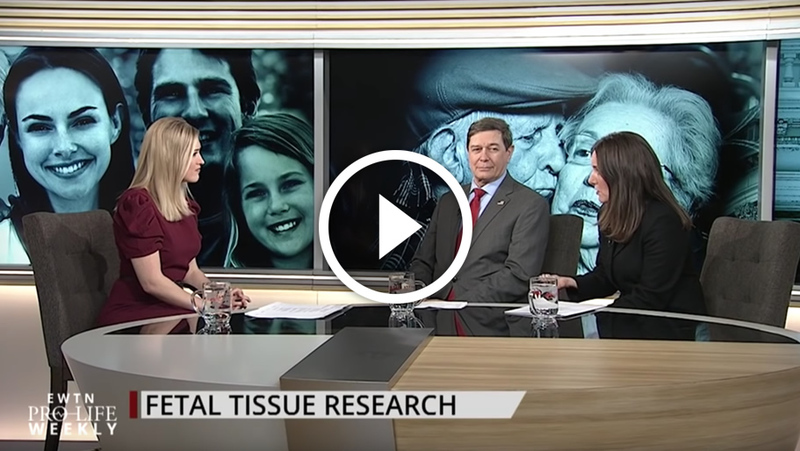 Pro-life groups put new pressure on the Department of Health and Human Services to end all tax-payer funded research using fetal tissue— we’re joined by pro-life scientists Dr. David Prentice and Dr. Tara Sander Lee of the Charlotte Lozier Institute for analysis. We introduce you to a hospital just steps away from Christ’s birthplace serving children and mothers in need—Ambassador Michele Burke Bowe, President of the Holy Family Hospital Of Bethlehem Foundation, shares how the Holy Family lives on in the hospital’s mission. A pro-abortion group celebrates pro-choice men—Catherine Hadro “Speaks Out.” And we speak to the new Chair of the USCCB’s Pro-life Committee, Archbishop Joseph Naumann, about what tops his agenda.